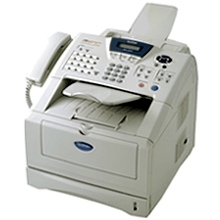 The Brother MFC-8220 is a Laser Printer, Scanner, Copier, Fax Machine, and PC Fax multi-function center that truly outperforms all the other models in its class. In addition to producing sharp, laser print quality of up to 2400 x 600 dpi, the MFC-8220 prints and copies at an impressive speed of up to 21 ppm/cpm. The MFC-8220 comes equipped with a 250-sheet adjustable paper tray for letter or legal size paper and an optional second 250-sheet paper tray is also available. Both USB and parallel ports are standard and the Brother MFC-8220 is compatible with Windows, Mac and DOS Operating Systems.